Volkswagen is offering Germans up to €10,000 ($12,000) off a new car if they scrap their old diesel clunkers. The cash incentives -- billed by the automaker as an environmental program -- come as pressure mounts on German cities to ban diesel cars because of pollution. Britain and France have already set target dates for phasing out diesel and gasoline vehicles. German drivers trading any brand of diesel car for a new Volkswagen will receive discounts of €2,000 ($2,400) on a compact model, €5,000 ($6,000) on a Golf, and €10,000 ($12,000) on a Touareg SUV. 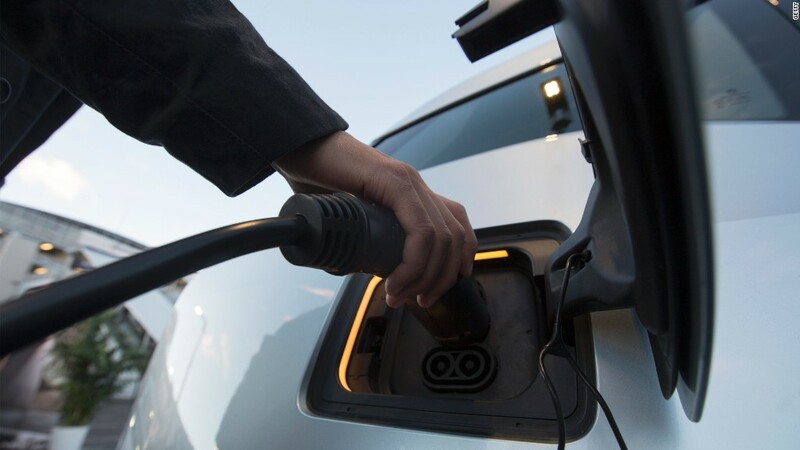 On top of that, customers will receive as much as €2,380 ($2,800) if they buy a replacement car powered by electricity, natural gas or a hybrid system. Executives representing Germany's car brands -- Volkswagen (VLKAY), Audi, Porsche, BMW (BMWYY), Opel and Daimler (DDAIF) -- met with government officials last week as part of an effort to save diesel vehicles. The companies agreed at the meeting to retrofit over 5 million vehicles with a software update that reduces nitrogen oxides emissions by as much as 30%. BMW and Daimler have also announced cash incentives for trading in older diesel cars, but they are not as generous as those offered by Volkswagen in Germany. 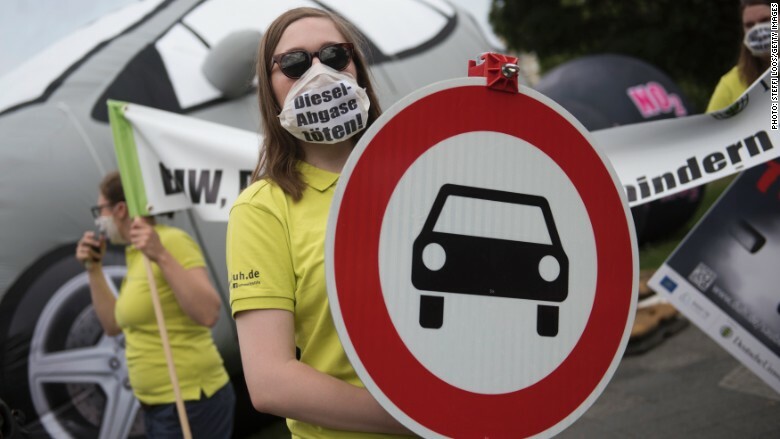 Environmental activists have been pressuring authorities to improve air quality by cracking down on diesel cars, which were at the center of a major emissions scandal that has roiled the industry. A judge ruled last month that Stuttgart may have to ban or severely limit diesel vehicles to bring down pollution and meet air quality standards. It could happen as soon as January 1. Other German cities also face legal challenges to their clean air plans. On one side of the issue are the angry voters, who are demanding tougher regulation and cleaner air. They are opposed by a mighty car industry that keeps the German economy humming. One in every five cars worldwide carries a German brand and the industry employs over 800,000 people. Still, many Germans think more could be done to reduce pollution. A study commissioned by the newspaper Die Welt showed that 73% of Germans think government policies toward the auto industry are too soft on the issue of air pollution. Volkswagen admitted in 2015 that it had been cheating on diesel emissions tests after its vehicles in the U.S. were found to be emitting up to 40 times the legal limit on nitrogen oxide. Other automakers including Daimler, Fiat Chrysler (FCAU) and Renault (RNLSY) are also facing probes over diesel emissions. There may be more trouble ahead. In July, European antitrust confirmed they were looking into claims that Germany's major carmakers may have been operating a cartel since the 1990s, colluding on everything from vehicle development to diesel emissions systems. -- Diana Macumba and Ivana Kottasova contributed reporting.